Home / Top Stories / Egypt-Iran: A possible thaw in relations? Despite recent backstage talks, Egypt and Iran are unlikely to re-establish full diplomatic relations any time soon, Iranian analysts said. A recent string of diplomatic overtures has suggested a thaw in the relations between the two countries. Last week, Yasser Othman, head of Egyptian interest section office in Tehran, met Alaeddin Boroujerdi, the chairman of the Iranian parliament’s foreign affairs committee. Othman said that Egypt was interested in improving ties with Iran, as an influential regional country. Boroujerdi, a parliamentarian heavyweight, said that Iran was determined to boost political and economic ties with Egypt, especially in tourism. “The two countries have many common views on regional issues,” Boroujerdi was quoted by the local media. Egyptian Foreign Minister Sameh Shoukry confirmed last week that Iran and Egypt have had diplomatic contacts. However, he refrained from disclosing the content of the talks. Addressing the Egyptian parliament’s foreign relations committee, Shoukry, according to Beirut-based TV al-Mayadeen, disclosed the contacts saying: “The only problem with Iran is its efforts to expand influence in Arabic countries”. Once a close ally, Egypt and post-revolution Iran have been through strenuous relations in the past four decades. The two countries cut diplomatic ties in 1979. Thorny issues ranged from Egypt’s sheltering of Iran’s ousted Shah and Iran’s naming of a street in Tehran after the assassin of late Egyptian President Anwar Sadat to the more serious issues like Egypt’s support for Saddam Hussein during the first gulf war between Iran and Iraq. There were some limited diplomatic overtures by Iran after reformist President Mohammad Khatami took office, when both Khatami and then Egypt’s President Hosni Mubarak met for the first time in 2003 in Geneva. However, this did not evolve into full diplomatic relations, either. During ousted President Mohammed Morsi’s presidency relations improved. Morsi was the first Egyptian president since 1979 to visit to Tehran. Currently, the two countries have diplomatic representation through interest sections. 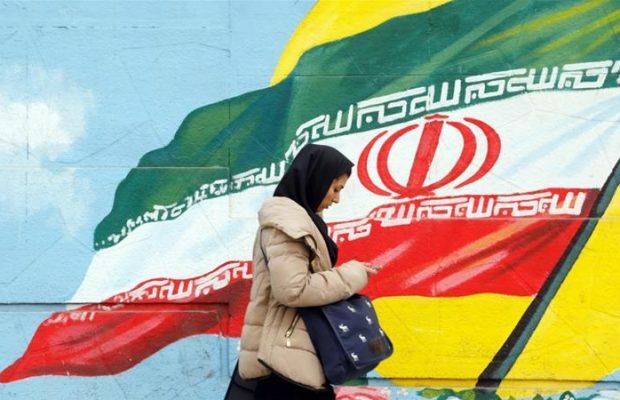 According to Iranian analysts, the time is ripe for a rapprochement between Cairo and Tehran. 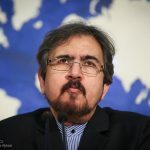 “Currently, there is a good momentum for better relations between the two countries,” said Hossein Royvaran, senior Middle East expert and former manager of Iran’s al-Alam Arabic satellite channel. “Egypt’s foreign policy has become more independent and the new government can create a new atmosphere, and a new situation in the violence-scarred region,” Royvaran told Al Jazeera. Egypt, a close ally of Saudi Arabia, has always been concerned about the Saudi reaction to getting closer to Iran, according to Iranian analysts. However, Iranians have recently praised Cairo’s independent foreign policies. 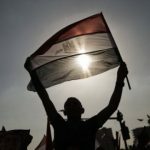 Royvaran believes that Cairo’s historic balancing role, as the seat of the highest Sunni authority, is precisely what the region, already aflame with sectarian tensions, needs at this point. Back in October, Hossein Amir Abdollahian, a senior adviser to the parliament speaker, praised Egypt for its “constructive and useful” positions on the Syrian crisis and campaign against “terrorism”. “Iran and Egypt are two big and influential countries which can play a constructive role through mutual cooperation in the region to help soothe tensions,” said Abdollahian following a meeting with Othman. Iran has been strongly supporting Egypt’s active participation in the Syrian peace talks and even adamantly lobbied for the Egyptian foreign minister’s presence as a pre-condition for Lausanne talks on Syria last October. “Iran’s strong support for Egypt’s participation in Lausanne conference on Syria shows that it has recognised Egypt as a stabilising power in the region which shouldn’t be marginalised,” Royvaran told Al Jazeera. In the past few months, speculation has been rife regarding oil and petrochemical shipments expected to be dispatched to Egypt after a long halt. Talks are under way to get Egypt’s consent to start exporting Iranian oil – through Sumed pipeline- to the European countries. The Iranian Petroleum ministry’s website quoted a few days ago Oil Minister Bijan Namdar Zanganeh as saying: “Iran pursues negotiation with countries who are not necessarily Iranian friends to resolve issues”, an apparent reference to the Egyptian transit pipeline. Last May, Egyptian authorities initially gave the green light to Iranian oil exports through Sumed, but failed to finalise the deal. The pipeline would enable Iran to ratchet up its exports to the Mediterranean and southern Europe with the capacity of 2.5m barrels a day. 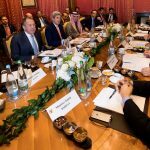 According to Iranian Diplomacy website, that is run by a group of former Iranian diplomats, Tehran advocated -and helped in- striking a landmark oil deal between Egypt and Iraq in February. Experts in Iran’s flourishing tourism industry, that has been steadily growing after the Iran Nuclear Deal, believe that should the oil diplomacy between Tehran and Cairo spread into other sectors – especially tourism – both countries can build a billion-dollar business around it, given the rich cultural heritage the two countries share. The head of tourism department said recently that Iran received 5.2 million tourists in 2015 and “numbers show there has been 50 percent growth in incoming tourists in the past 10 months”. Last week, Iran’s commerce ministry issued permits to import Egyptian oranges, despite the country’s self-sufficient agricultural industry and enormous production of fruits and vegetables, a move interpreted by local media reports as strengthening business ties with Egyptians. However, despite the increasing backstage talks between the two countries, analysts remain sceptical that both countries would re-establish a full diplomatic relationship anytime soon due to the complicated nature of issues at stake. “Cairo’s concerns and difficulties for resumption of diplomatic ties with Tehran is much more serious,” said Mosayyeb Naimi, editor-in-chief of Iran’s Arabic language daily al-Wifaq.